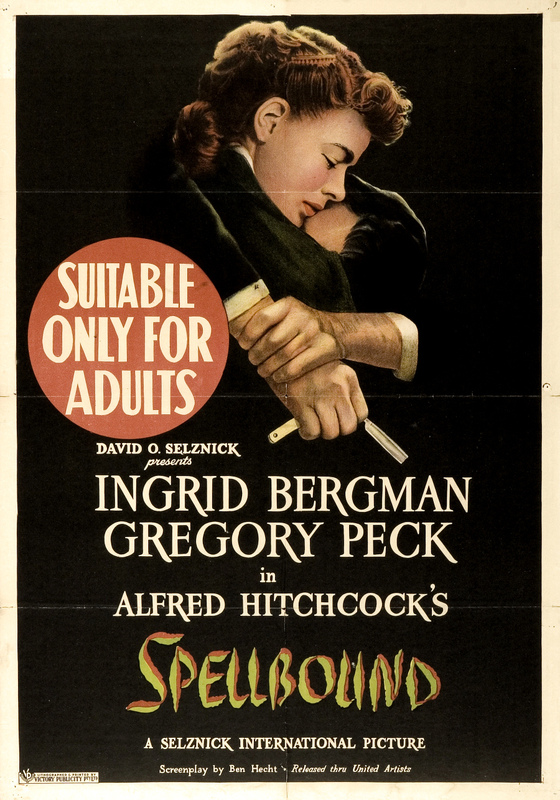 If Alfred Hitchcock sounds less than enthusiastic about “Spellbound,” his 1945 film starring Ingrid Bergman and Gregory Peck, it’s with good reason. 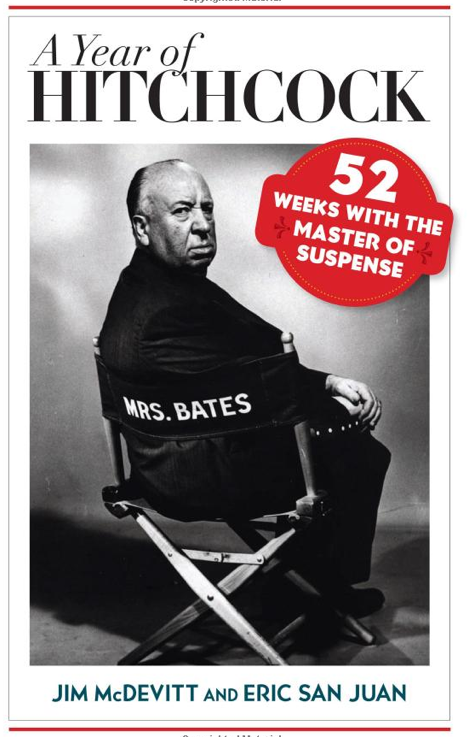 It was his first film since “Rebecca” to be released by Selznick International Pictures, and David O. Selznick’s demands resulted in a not very pleasant filmmaking experience for Hitchcock, and a somewhat disjointed and trite movie. That said, the good qualities of “Spellbound” do outweigh the bad. 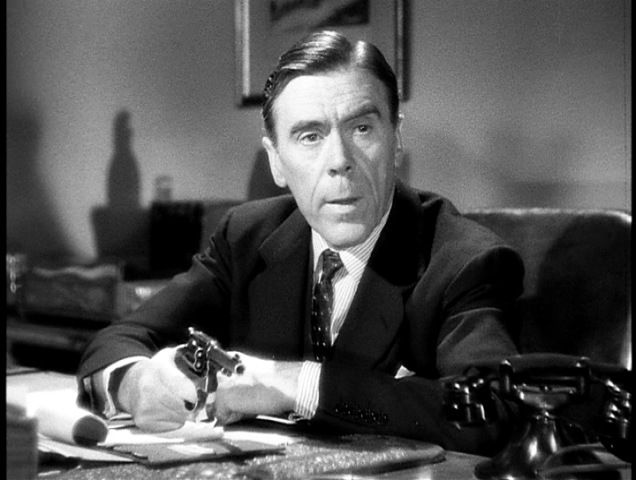 The story begins at a sanitorium, Green Manors, where Dr. Constance Peterson (Bergman) is fretting over the imminent departure of her boss, Dr. Murchison, played by Leo G. Carroll. Murchison has been asked to leave by the board of directors after he had a breakdown, and his replacement is a Dr. Edwardes, played by Peck. There’s something odd about Edwardes, though. He had a hostile reaction when Peterson traced some lines on a tablecloth with a fork, and nearly freaked out when he saw something strange in a pattern on her dress. 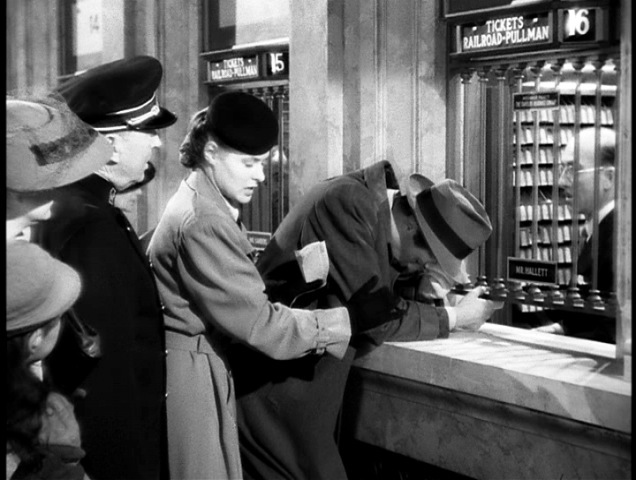 Comparing a note he sent her with a signature in a book, Peterson realizes that this is not the real Dr. Edwardes. 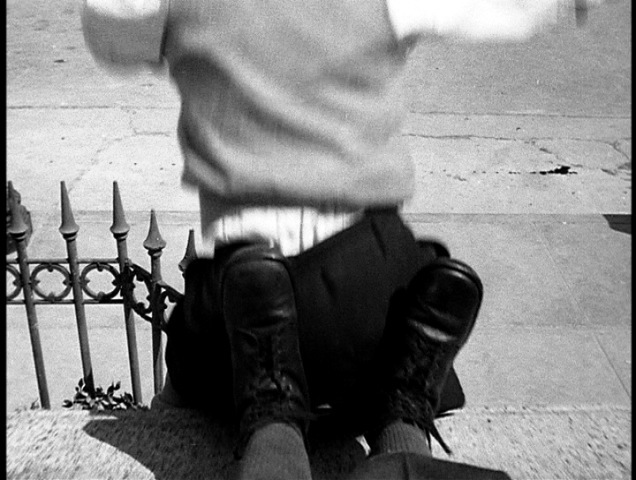 She confronts him and learns that he is a delusional amnesiac – and that the real Edwardes is missing. The psychological jargon flies fast and furious (it’s almost like the staff at Green Manors never talks about anything but work) as they try to get to the bottom of things, but when they go to confront the phony doctor, they find that he’s gone. Peterson follows him to a New York City hotel, and she starts to work on him in earnest, believing that there’s no way he could have killed anyone. She’s half in love with him by now, but all they have learned is that his initials are J.B. and that he was a doctor of some kind before he lost his memory. Now calling himself John Brown, he is caught between his affection for Peterson and his growing irritation at her attempts to unlock his past and clear his name. 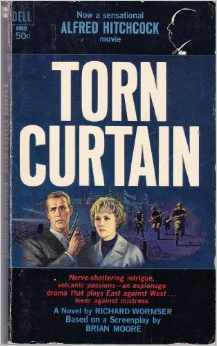 They travel to Rochester to take refuge from the police with her mentor, an older psychologist played by Michael Checkhov (nephew of Anton Chekhov). To cover their trail, they claim to be newly married; in an odd lapse in logic, Peterson believes that Brulov is so absent-minded that he doesn’t notice their lack of wedding rings or luggage, but Brulov shows how sharp he is soon enough. When Brown awakens in the middle of the night and tries to kill Brulov in his study, the older man keeps his wits about him, talking to Brown while he gives him a glass of milk dosed with a sleeping drug. When Brown awakens, he and Peterson explain the situation to Brulov, and Peterson begs him for help. He agrees, and, conveniently, Brown had a symbol-laden dream that night. Brulov and Peterson ignore the fact that Brown’s dream might have been affected by the sleeping drug, and instead plow into a very quick dream analysis. As Brown recalls the dream, the scene fades from Brulov’s parlor to the dream itself, in a very famous sequence designed by surrealist painter Salvador Dali. Brown explains that he found himself in a gambling house where the walls were decorated with eyes. A scantily clad woman was kissing all the gamblers, and a masked man played blackjack with him. A seven of clubs gives him 21, and then he is running on a barren landscape where the masked man holds a melting wheel. 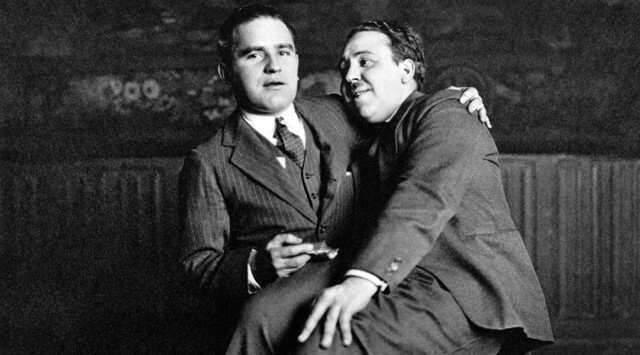 Slowly, Brulov and Peterson put together Brown’s clues, realizing that he had met Edwardes at a ski resort when sled tracks in the snow outside the house set off a spell of paranoia in Brown. A name from the dream gives them a clue to the name of that resort, and they go there, trying to reconstruct events while the police continue their pursuit. On the slopes, Peterson and Brown ski downhill toward a cliff, seemingly where Brown and Edwardes had been. Brown struggles to remember what happened, and has a breakthough: He remembers a childhood trauma in which he accidentally killed his younger brother. After tipping off the police, the body of Edwardes is found at the bottom of the cliff, but the body shows that Edwardes had been shot. Brown is arrested, but Peterson, back at Green Manors, realizes what really happened when she talks to Murchison: He killed Edwards himself when he realized that he was going to be replaced. 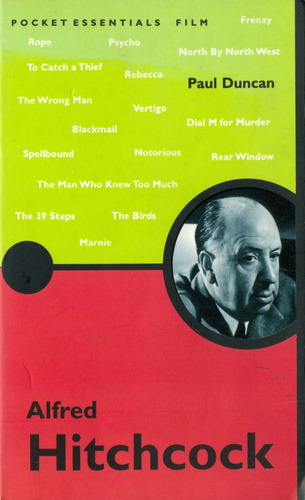 Murchison congratulates her on her “young and agile mind,” which seems to be Hitch’s way of glossing over the fact that she has solved the case with almost no clues. Murchison pulls a revolver from his desk drawer and tells Peterson that she won’t live to tell the police, but she keeps talking to him in soothing tone, echoing Brulov’s scene with Brown, and he lets her walk out of the room, then turns the gun on himself and shoots. 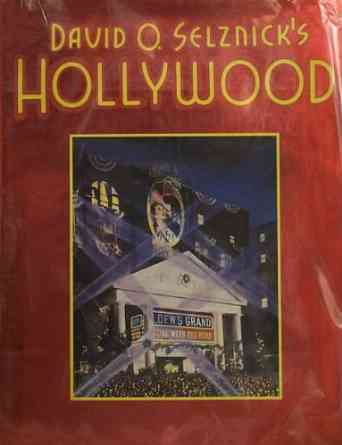 David O. Selznick had pushed “Spellbound” on Hitchcock. 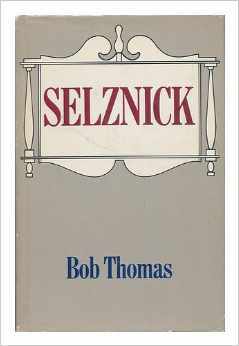 Selznick had undergone psychoanalysis and had become a proponent for it, so much so that he also insisted that his own psychiatrist serve as a consultant on the film. 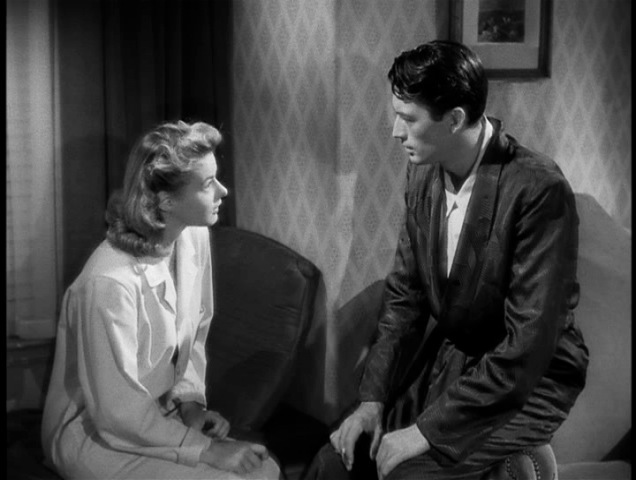 The half-baked aspects of the film’s psychology – that an amnesiac could be cured with a few sessions and one dream analysis – don’t help the scenario’s believability, and the dream itself is too on-the-nose to be believed. (The melting wheel symbolizes a revolver, the seven of clubs giving Brown 21 represents New York’s 21 Club, etc.) 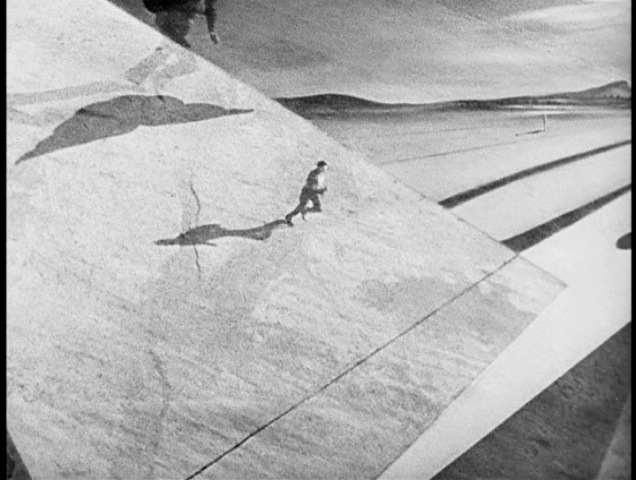 Hitchcock had little to do with the Dali sequence, and reportedly was not happy with the famed artist’s involvement in the production. Still, the dream sequence bears at least one distinctive Hitchcock touch, which is the oversized seven of clubs card, a trick to make the card readable on camera and add to the strange quality of the dream in a way that is certainly not Daliesque. 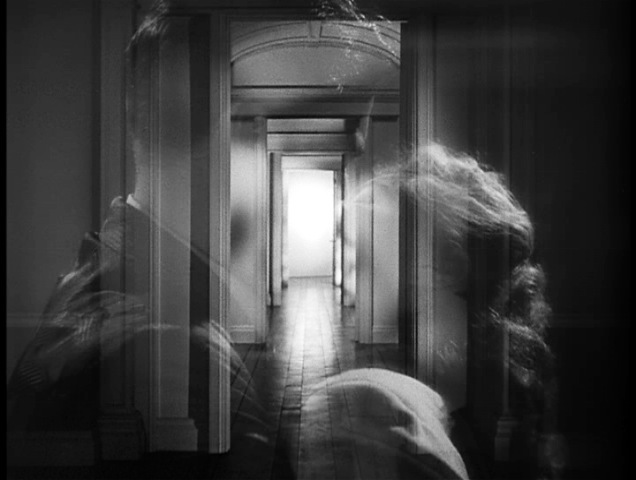 Hitchcock’s own touches of filmmaking brilliance show here and there, in the shocking, silent moment when Ballantyne remembers killing his brother, or when Ballantyne and Peterson kiss for the first time and we see an ornate door slowly opening, to show another door that slowly opens, etc., etc. The doors are a more meaningful symbol for Peterson’s awakening sexuality than any of the ham-fisted symbols out of the dream sequence. 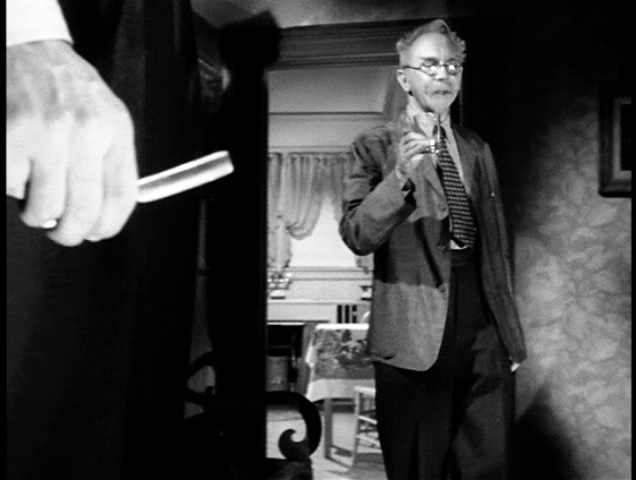 The final Hitchcock touch is at the climax of the story; when Dr. Murchison holds a gun on his employee, we see his hand holding the gun, with the camera showing his point of view. After Peterson leaves the office, the hand slowly turns until it faces the viewer before it fires. 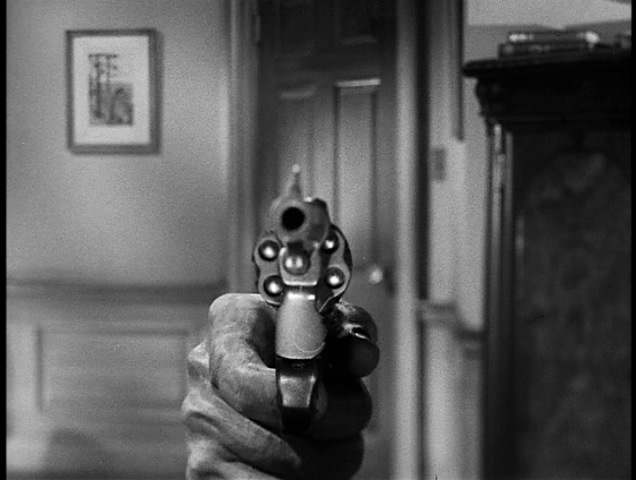 To make the effect work, Hitchcock had a model hand and gun built, so that it could turn smoothly. Ben Hecht, the prolific screenwriter who had worked on “Gone with the Wind” for Selznick and with Hitchcock on “Watchtower Over Tomorrow,” wrote the screenplay for “Spellbound,” based on a story by Angus McPhail, from a 1927 novel called “The House of Dr. Edwardes.” The film also includes a brief appearance by Norman Lloyd, the saboteur from Hitchcock’s film of the same name. 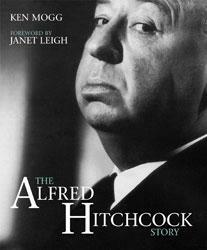 Hitchcock himself makes a memorable cameo in “Spellbound,” exiting an elevator in a New York City hotel, cigarette in hand, looking very pleased with himself. I haven’t been writing that much about Hitch’s cameos because so many of them are not that interesting, but the sly smile on his face here could not be ignored. Next, we’ll look at one of the true classics of cinema: “Notorious,” starring Cary Grant, Ingrid Bergman and Claude Rains.